Father’s Day is just over a week away, are you ready? I’ve already posted about a pretty awesome and unique gift idea earlier this week, but because many of you have a calling for supporting and representing small shops, I’ve come together with NOXX, Punkaloo, and Mom Life Must Haves to create a super easy and fun DIY gift idea to help you out! 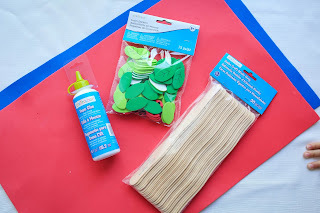 Once your foam bouquet is done and drying, you’ll want to get started on the rest of your gift. Decorate your 4-pack carrier in any way you’d like. We chose to use stickers we already had on hand (because we have a TON) and cute, fun printout! 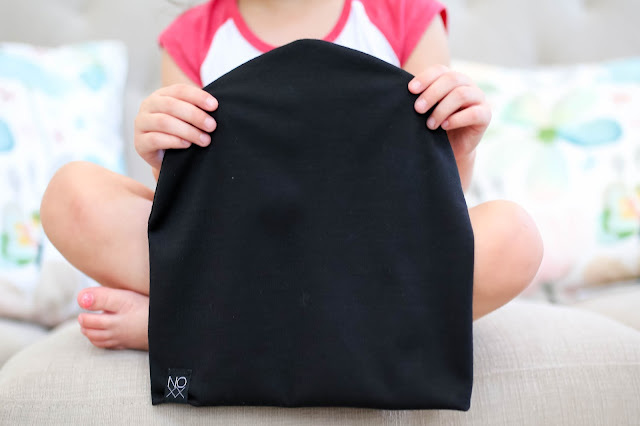 We chose our favorite Dad-themed items from some of our favorite Small Shops: NOXX, Punkaloo and Mom Life Must Haves to fill in the rest of our 4-Pack Carrier. This was such an easy and fun craft to put together. The kids really enjoyed all aspects of this gift, from making their foam flower bouquets, decorating their carrier and of course, filling it up with all the goodies! They are so excited to hand it off to their dad for Father’s Day! Planning on making this for Father’s Day? You are in luck!! 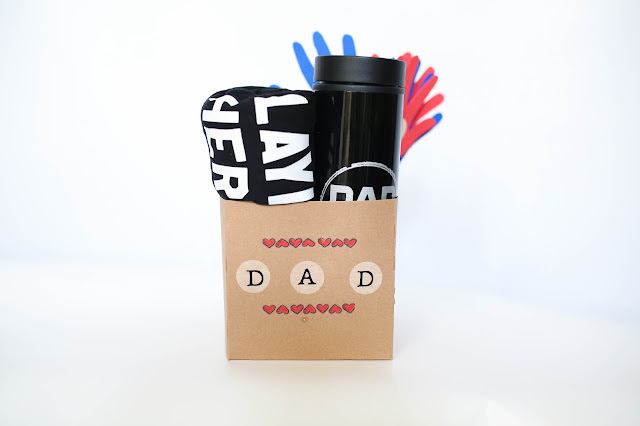 Each of these shops is offering you a sweet discount deal on all of these items [30% off select adult beanies at Noxx, 30% off a rad Slaying Fatherhood Tee & 15% off this awesome Dad Fuel Tumbler] using the promo code DAD30 at checkout! 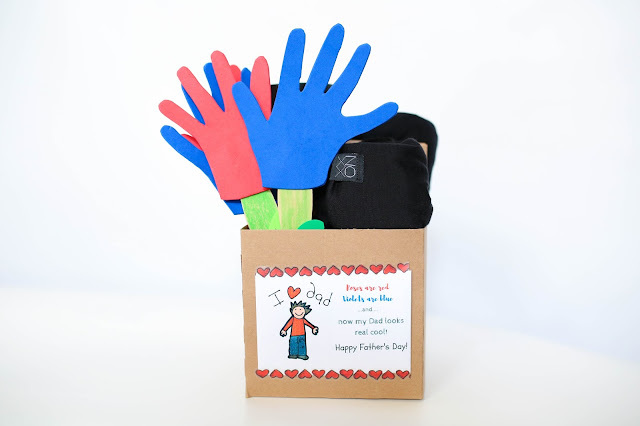 The last day to place your order for arrival before Father’s Day for all 3 shops is this Saturday, June 10th! Don’t forget to use the FREE printable below! Want the chance to win a $15 NOXX shop credit? Click here to comment on their blog post for your chance to win! CUTE! What fantastic ideas! I love how you put all his gifts in a little carrier, so clever! What a cute DIY packaging idea! Love a handmade element in all gifts! The kids loved being involved so it was a lot of fun! This is such cute idea! I love all the gifts but I love the way they’re brought together. Great idea! Oh my goodness, such cute ideas! Martha Stewart watch out!! Here comes BellaBoo!! Great ideas to include the Children!! Adorable! For some reason, Dad gifts are always tricky for me, but my husband would love that tumbler. Thanks for sharing! This is such a cute idea! I like that you used foam for the handprints so they stand up well! What a great gift idea! I love this! Cute idea! 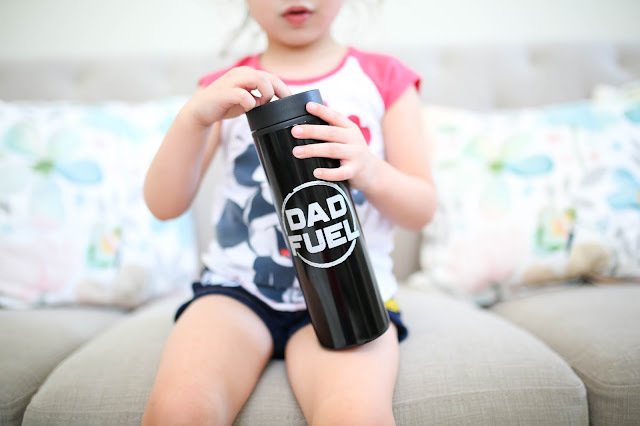 I love the mug with “Dad Fuel”! Adorable! I love these ideas! What a great little gift pack! Love it! Awesome ideas! Great way for kids to make a gift for their dad! What an adorable way to package the gift! That shirt is perfect. Hubby mya be getting one! What fun ideas! I love that shirt so much! Precious ideas! And they would mean so much to any father! So charming little ideas that after put together they are even better. Thanks for sharing! This really is super cute! I need to have Isabella do it this week! This is such a sweet gift! 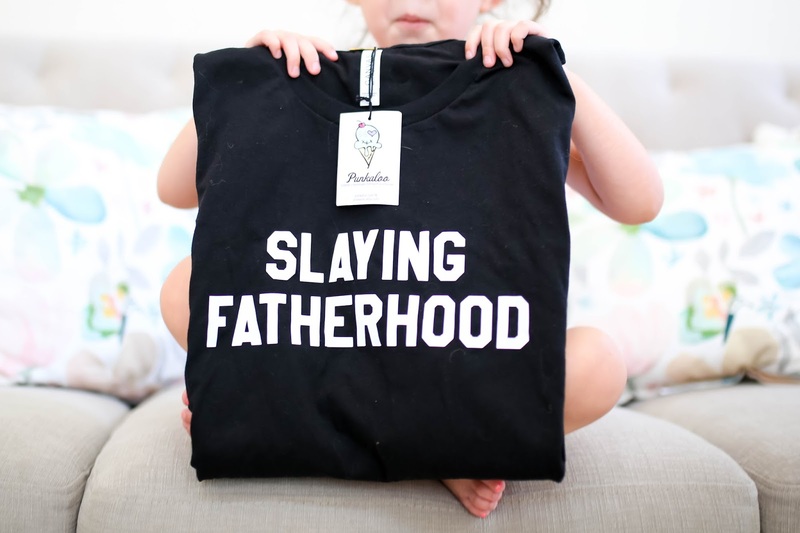 You have one lucky daddy! SUCH a cute gift idea! I love how you involved your kids and turned it into a diy! What a great idea I love this!! Letting the kids handle the “packaging design” is such a great idea, I love it.